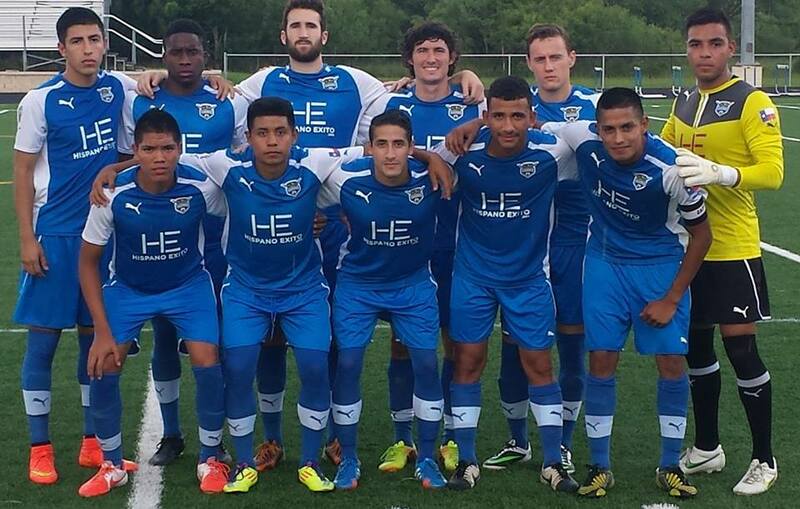 Fort Worth Vaqueros FC was founded on the belief that the sprawling Dallas-Fort Worth metroplex needs more than one soccer club to serve the market. While FC Dallas plays in the northern Dallas suburb of Frisco, the Fort Worth Vaqueros focus their energies on growing the game in Fort Worth. Team co-owner Michael Hitchcock is familiar with the DFW soccer scene from his time as an executive with FC Dallas. His background also includes stints with DC United and the LA Galaxy, as well as running his own sports management consulting company, Playbook Management International. Along with co-owner Brian Miller, Hitchcock created the Vaqueros (a Spanish word which translates to Cowboys) because they saw an untapped market in the country’s 17th largest city standing on its own apart from Dallas. While the club has no immediate plans to create a professional team at the NASL or USL level, the long term vision for the Vaqueros is conducive to doing just that. However the priorities today are focused on youth talent development in the local area, including plans for a cost-free youth academy. Today the club competes in the NPSL’s South Central Conference, against the Tulsa Athletics, FC Wichita, Joplin Demize, Shreveport Rafters FC, Dutch Lions FC, Little Rock Rangers, Houston Regals SCA and the Corinthians of San Antonio as well as local rivals Dallas City FC and Liverpool Warriors. Hitchcock’s time in MLS means he knows what it takes for a professional soccer operation to succeed. After growing its roots deep in the community, the club may look to compete at a higher level if the market demands it. Midfield Press was able to connect with Fort Worth Vaqueros FC’s Director of Business Operations, Tobias Xavier Lopez, for XI questions on the club’s past, present and future. 1. How and why was the team founded? 2. What venue does the team currently play in? We play at Texas Wesleyan University’s Martin Soccer Field, which is home of the men’s and women’s soccer teams for the Rams Athletics program. 3. What does attendance look like a typical match? 4. What was your best attended match and the circumstances around it (including the attendance numbers)? Our first ever match on May 9, 2014 where we enjoyed 2,718 when we faced the Tulsa Athletics. 5. What does the supporter culture look like? Panther City Hellfire. It begins and ends with those guys. They are our loyal supporters group that brings the drums, the chants, the party to both home and road games. It is not uncommon for Hellfire to be louder for us on the road than the home team’s fans. They were with us before we even had a name or a logo and they will be with us into perpetuity. In addition to Hellfire we have a strong core of families, schools and non-profit groups that support our efforts. So there is a place for every type of fan at our matches. As we say we are committed to “Growing the Game in Fort Worth” so that means we are working on establishing a one-of-a-kind, cost free youth academy. We will grow the professional squad to whatever level the community support demands. I think we will always have an NPSL side but I could see us adding an NASL or USL squad as well. 7. What does the team’s current investor profile look like? We have the sound backing of Michael Hitchcock and Brian Miller. 8. Have you spoken with potential monied investors about moving the team up to USL or NASL? 9. If you had sufficient investment to move up, would you have a preference between USL or NASL? Not necessarily, there are pros and cons to both leagues so we will look at it as an executive group and decide what makes the most sense financially and for the maximum benefit of the Fort Worth Vaqueros family. 10. Would the current venue hold up if you moved to USL/NASL or would you need to find a new home? If so, are there existing stadiums you could use in your area or would the investors need to build a new one? No, we are currently in discussions with a few different potential stadium partners and that will be the first thing on the list. We won’t move up the ranks until we have a new facility with the amenities and revenue streams necessary to support a move into a higher division. 11. What else should the readers of Midfield Press know about your team? I am proud of the innovative things we have accomplished such as giving a free jersey to season seat holders to wear on game day as their ticket into the stadium. We allow all our corporate partners a chance to win the jersey front for the year by holding a lottery at the beginning of the season to choose that year’s sponsor. We have let the community pick the name, logo and jerseys and now this year our supporters will actually design our kits. Thanks to new partner UN1TUS we will have a truly one-of-a-kind uniform design and made for us here in the U.S. So I would just say our willingness to be unique and engage our community is one of our strongest aspects as a club. A big thank you to Tobias for taking the time to answer our questions, and look for more “XI Questions With…” NPSL and PDL teams in the future. 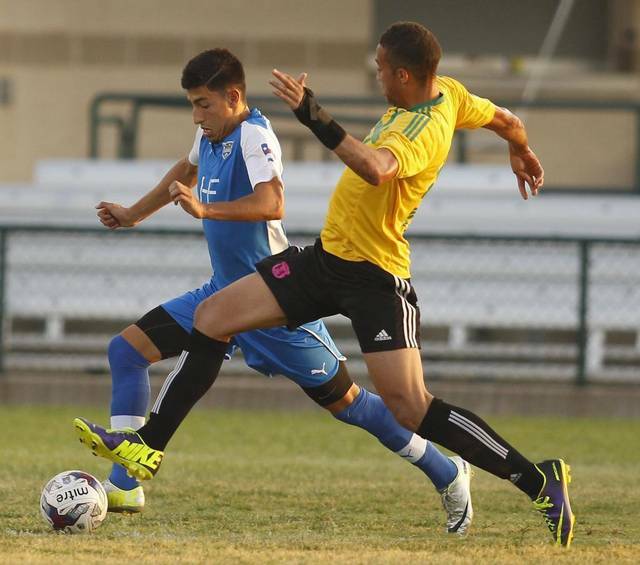 The Vaqueros are giving local kids a chance to develop and get noticed. That part is great! However, 1500 on avg per game is a lot of a stretch. A couple of season openers..during the first year at La Grave Field maybe. I’m still hoping for big investors who actually want to bring a professional team to Ft. Worth. USL or NASL at least.